Lately there seems to be no end to the quality content you can watch on television. In fact, there is so much that it can be overwhelming to know what to dedicate your time too. 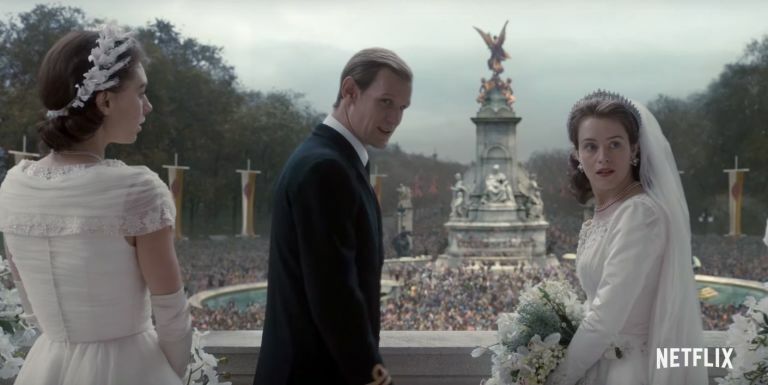 Well, as a lover of British literature and all things England my eyes were drawn to 2 series from across the pond- Netflix’s The Crown and PBS’s Victoria. Today I thought I would compare the two and their strengths and weaknesses. The first season of Victoria consists of 8 episodes and it stars Jenna Coleman as the monarch Queen Victoria. She starts out her rule at a young 18, having been secluded from an education or life outside of her Mother, yet she is confident and commanding as queen. In truth this series is a romantic drama more than anything else. 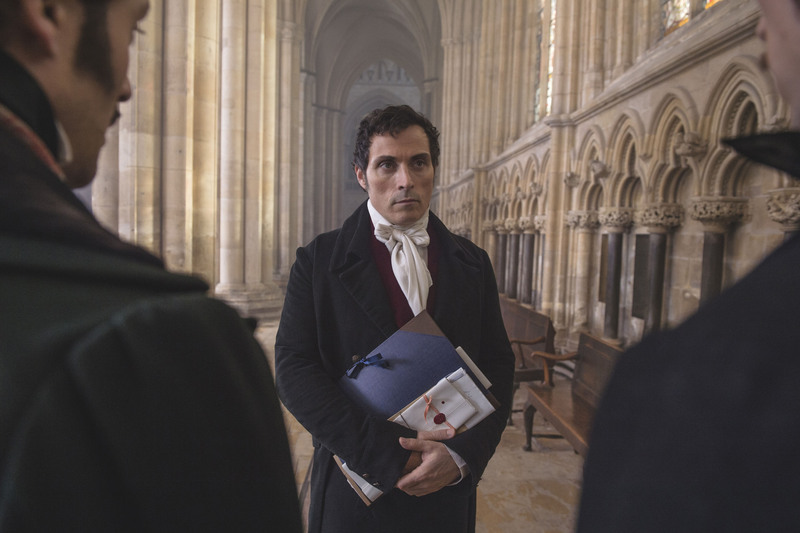 For the first few episodes she is tutored and falls in love with Lord Melbourne who is played by Rufus Sewell. I’ve had a bit of crush on him ever since he was Will Ladislaw in the BBC Middlemarch series. In many ways he plays a similar character here as a good man who likes to philosophize and talk with smart women. 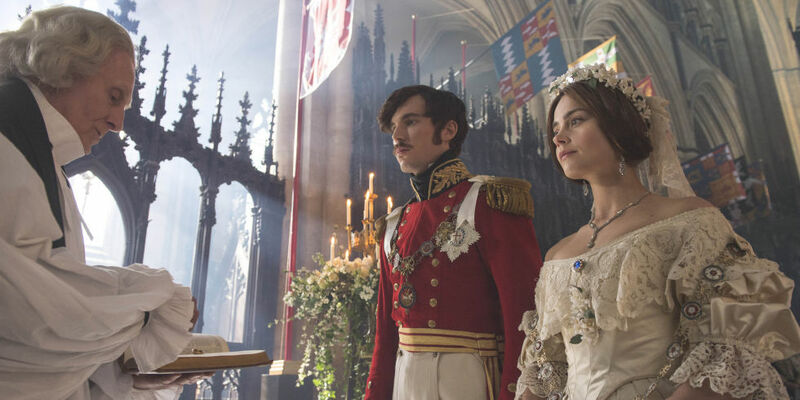 But then the rest of the series is about Victoria and her romance with Prince Albert played by Tom Hughes. They also have wonderful chemistry and we see them grow together as a couple. They each have their weaknesses but their marriage feels real and solid. It probably goes without saying that the costumes and the production design are out of this world in Victoria. Every detail is perfection and it is perhaps surprising as we think of Victoria as the middle-aged woman wearing black to see this version. If I was going to fault the show some of the side characters are one-note and the side plots aren’t that interesting. Also, we never really see Victoria rule or be faced with difficult decisions. Most of the show is about her marriage, which is fine but I hope in season 2 we get a little bit more of her governing. Also because the show is about a royal marriage and not much else it is a little hard to relate to at times but always enjoyable escapism. The next show we are looking at is Netflix’s sumptuous series, The Crown about the life of Queen Elizabeth. The first season is 10 episodes covering from 1947 to 1955, which includes her marriage, coronation and the separation of her sister Princess Margaret from Peter Townsend. Like Victoria, The Crown is also at its core about a woman and a marriage. Claire Foy is wonderful as Elizabeth. As is Matt Smith as Prince Phillip. Despite being royal, I think most married couples will be able to relate to their struggles and joys. It is written and performed in a way that feels human and understandable. The Crown is also about an entire family and how the dynamics of power work between Elizabeth and her Mother, Grandmothers and Sister. Dame Eileen Atkins appears in one of the best scenes of the series to explain the weight and loss of royalty. Jared Harris is wonderful as King George, Elizabeth’s father. We also get a lot of time with former King Edward played by Alex Jennings who renounced his crown to marry Wallis Simpson. All of these family dynamics are handled so well. 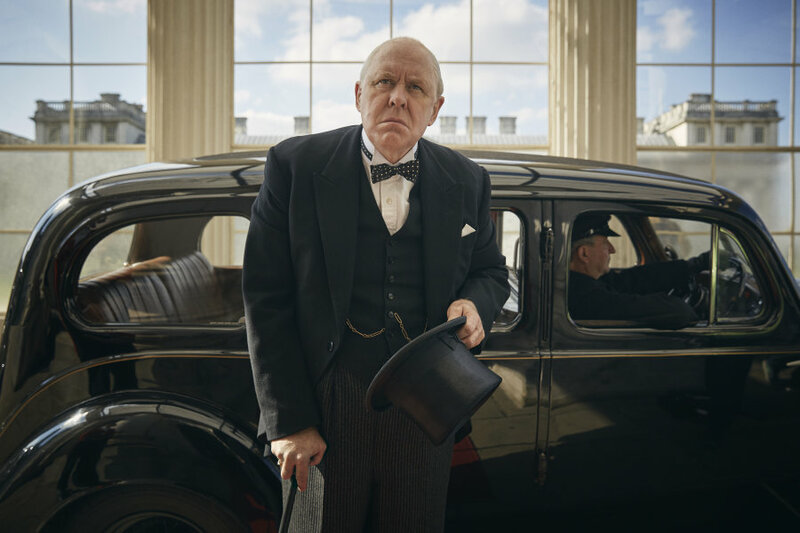 The show, however, does not stick to the castle walls but we actually get to see the backstory of governance particularly with Elizabeth’s relationship with Winston Churchill played by John Lithgow (who I wasn’t sold on at first but he won me over). Some of the episodes honestly feel more about Churchill than about Elizabeth, which surprised me. The key to this show working is the brilliant writing. Yes, the production, costumes and acting are top rate but it’s the writing that is the true star. Director and writer Peter Morgan does an amazing job creating characters out of people we shouldn’t relate with but then we do. There are some soapy moments but on the whole the dialogue and scripts are superb. I also learned so much while watching The Crown. For instance, I had no idea about the Great Fog and that as many as 12,000 people died in one day. That blew my mind and that episode will go down as one of my favorite episodes of television I’ve ever seen. I learned about the box the queen gets every day and the weekly meetings with the prime minister. I learned about all the protocol and procedures built around the royal family and how devastating the renunciation of Edward truly was. It was fascinating. All of this could have been boring but not with the great writing of Peter Morgan. I loved watching both of these series and recommend both. 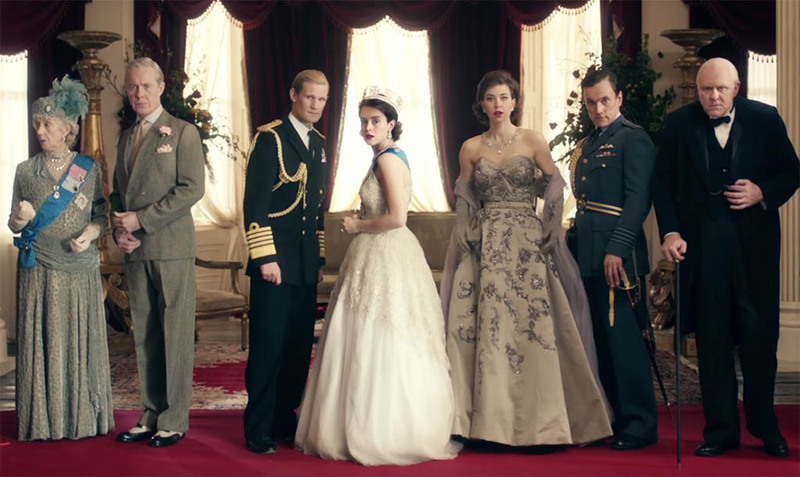 They both have gorgeous production design and costumes and you will get swept up in the stories of British royalty. If I was looking for something light and frothy I might go with Victoria. It’s not as challenging as The Crown and I always love a good period piece romance. However, the layers of enjoyment of The Crown make it a little bit of a superior show. You can enjoy it as a portrait of a marriage and a family. You can watch it as a history lesson (with a grain of salt for dramatic license). You can learn about governing and how deals are made and when we lie or be honest in politics. You can watch it to see great performances and writing. Either way you are in for a treat, as they are both great shows! Have you watched either show? What do you like about them? Which do you prefer? 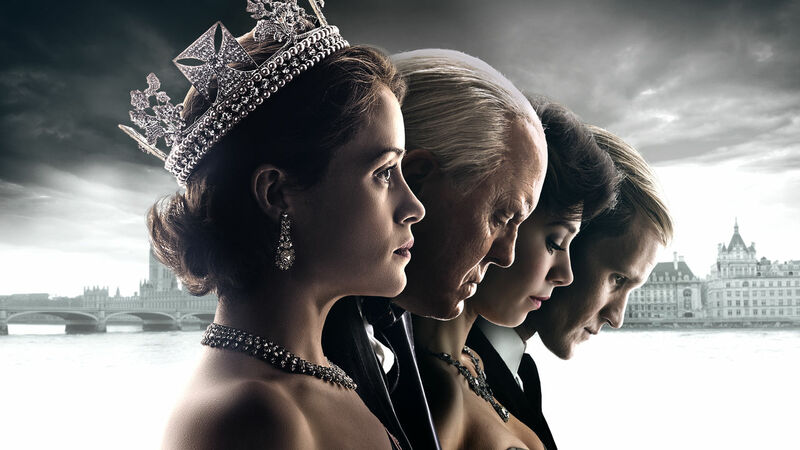 I would agree that The Crown is definitely the superior show; it’s more complex, and I enjoy royal family dynamics (must be from watching Game of Thrones). When I first saw Victoria, I thought it was trying too hard to be Downton Abbey 2.0 with the upstairs-downstairs perspectives. It did grow on me – my favourite moment was when Victoria takes a ride on the train and Albert goes running after it – and I especially like the music, but my primary interest was Victoria and the people around her; I could care less about what the servants were doing. Have you managed to watch A Royal Night Out yet? I haven’t seen Mrs Brown in full, so we could do that one! I’m trying to think of another English female monarch that a show could be based around. Elizabeth I has been well covered already. Queen Anne might not have very much to work with. Lady Jane Grey – it would be hard to make a show about someone who ruled for nine days. Mary I really needs to be put in context with the other Tudors. Maybe something could be done with Matilda and the civil war. Oh is Lord Melbourne made up? No, he was real, but there’s nothing to suggest that Victoria was ever romantically attracted to him. Have you seen the film The Young Victoria with Emily Blunt? I never have but heard it is good! Love story vs. history lesson is what it comes down to when comparing Victoria and The Crown. I absolutely love Victoria! The music is beautiful by Mr. Phipp and the cast is magnificent. To be honest, I have not seen a single episode of the The Crown but my sense tells me the two are completely different (apples and oranges), especially because they are set in different eras. 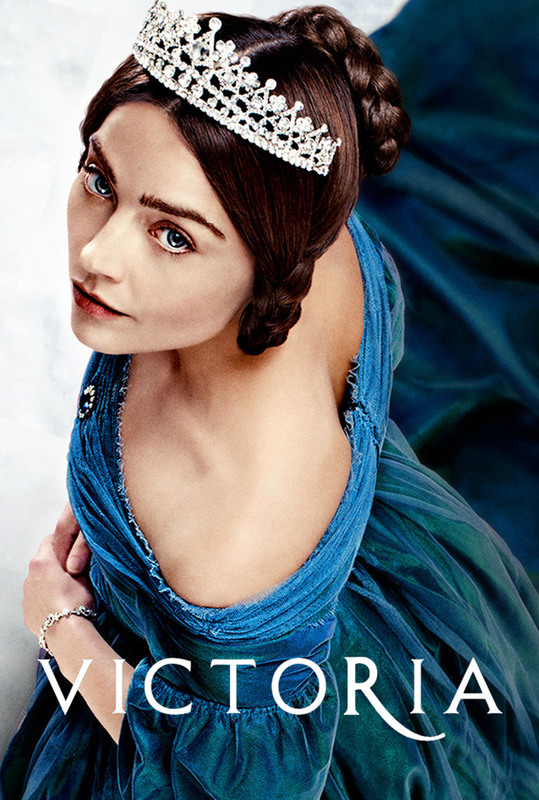 So, I guess I’m biased, but it just too hard to imagine a more engaging series than Victoria.